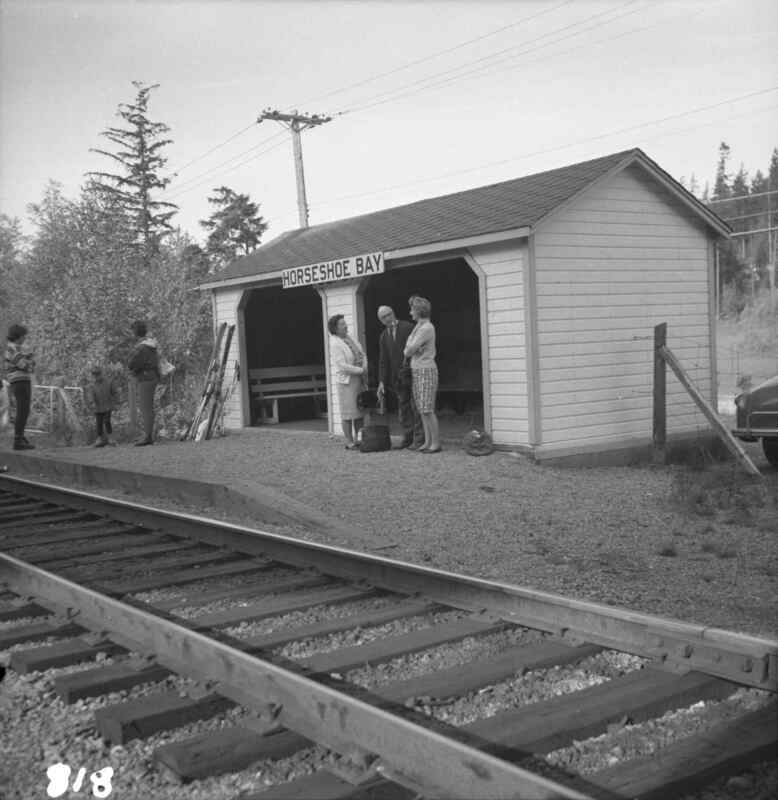 Photograph depicts that Pacific Great Eastern depot at Horseshoe Bay, awaiting the dayliner to Quesnel. A two-coach Budd car runs from North Vancouver to Lillooet, and then a different 1-coach Budd car continues to Quesnel. It is possible to do a roundtrip from North Vancouver to Lillooet in one day.